Feuillade, Louis, and Georges Meirs, Les Vampires, Paris, 1916. Sadoul, Georges, French Film, Paris, 1953; revised edition, New York, 1972. Lacassin, Francis, Louis Feuillade, Paris, 1964. Bastide, Régis, Louis Feuillade, Perpignan, 1987. Lacassin, Francis, Maître des lions et des vampires, Louis Feuillade, Paris, 1995. Leprohon, Pierre, ''Louis Feuillade,'' in Radio-Cinéma-Télévision (Paris), 27 July 1958. Beylie, Claude, ''Louis Feuillade,'' in Ecrans de France (Paris), 15 May 1959. 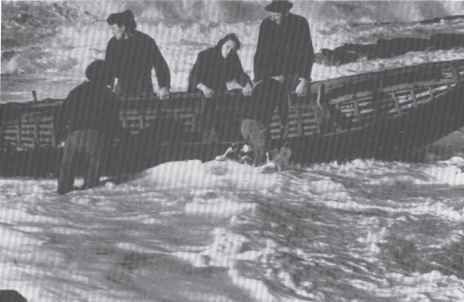 Fieschi, Jean-Andre, ''Feuillade (l'homme aimante),'' in Cahiers du Cinéma (Paris), November 1964. Lacassin, Francis, ''Louis Feuillade,'' in Sight and Sound (London), Winter 1964-65. Cinémathèque (Perpignan), no. 48, 1987. Beylie, Claude, ''Judexet Les Vampires,'' in Cinéma (Paris), no. 482, November 1991. September-October 1998. O'Brien, G., ''Silent Screams,'' in New York Review of Books, vol. For French cinema, the years 1915-1922 constituted a period of renewal. A considerable number of young filmmakers emerged with their first works, and the basis of a highly important avant garde movement was created. But the bulk of commercial production continued in a solid and unadventurous way, as if France were still the world's leading film nation. This time of transition is symbolized by the situation at the Gaumont studios in Paris in 1919, where 46-year-old veteran director and head of production, Louis Feuillade, dressed in his grey ''chemist's overalls,'' directed alongside a 29-year-old beginner, the ex-littérateur Marcel L'Herbier, resplendent in his monocle and white gloves. Within this temporary co-habitation of opposites there was, of course, only one direction in which the cinema was moving. But if the early 1920s are aptly represented by L'Herbier's L'homme du large or Able Gance's La roue, Feuillade's Les vampires can stand for much that was the best in French cinema from 1915 to 1916. Feuillade had resumed his role as artistic director at Gaumont after his release from army service in 1915. In addition to making the obligatory patriotic films and the occasional meditation on the horrors of war, Feuillade plunged his energies into the crime series, echoing the success of his own Fantômas and facing up to the new United States competition, spear-headed by The Perils of Pauline and The Exploits of Elaine, which was on the brink of dominating the French market. The years 1915 to 1920 saw the appearance of five successive series, of which the first and greatest was Les vampires, which appeared at irregular intervals in ten parts, each constituting a self-contained story, between 13th November 1915 and 30th June 1916. Les vampires is strongly conditioned by the circumstances of its shooting. Forced to work quickly and without a smoothly operating studio machine behind him, and confronted with such strong American competition, Feuillade had no time to polish his scenarios or even establish a conventional script. The stories pitted an intrepid reporter and his comic side-kick against ever more bizarre and audacious exploits perpetrated by a gang of criminals led by the ruthless killer who was a master of disguise. 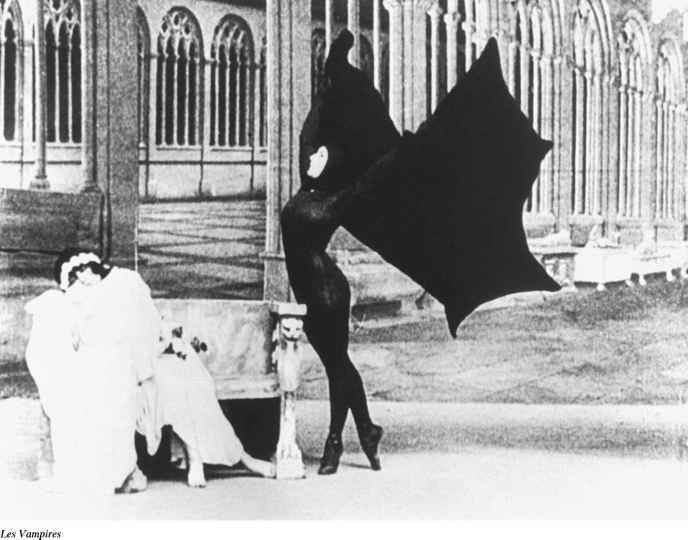 In contrast to the American serials, Les vampires had a dark-haired villainess, Irma Vep (an anagram of ''vampire'') played with great relish by Musidora, in place of the innocent blonde heroine. Many of the stories, increasingly improvised on the streets around the studio, give the impression of having been started without any clear idea of how they will end. In addition, the pressures brought on by the changing cast of players meant that occasionally even the seemingly indestructible villain had to be suddenly and inexplicably killed off.